The now iconic Kampung Boy from Terengganu, Mohd Syukor Khamis, is making headlines again as the subject of another photographer, a student of Multimedia University, Nur Hidayati Abd. Rahim. She has received recognition for her efforts, earning a spot among 10 young photographers shortlisted in the 2019 World Photography Awards. Nur Hidayati, her tutor and 9 other students who were shortlisted for the award will be heading to London to attend the awards ceremony where they will receive expert portfolio reviews, a masterclass with world-renowned artist Nadav Kander, and have their hard work exhibited. Prior to being shortlisted, the 10 students were asked to produce a series of 3 to 5 images with the theme “Evolution”. 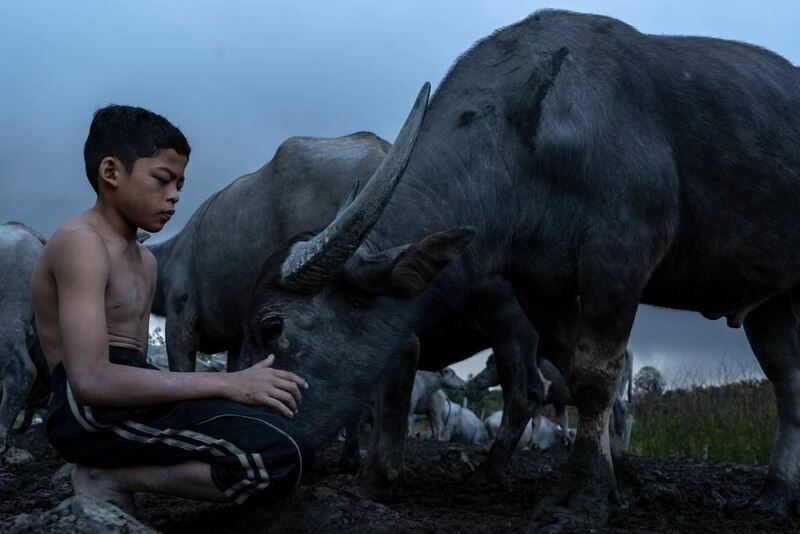 Nur Hidayati caught the attention of the judges with her first series, “Rural Life in Urban World”, and later establishing her second series titled “Soul Of The Wild”. The images by the talented Multimedia University student painted a picture of harmony between human and animals, featuring an interaction with Syukor and the farm’s buffaloes. However, there were still other challenges that the MMU student faced. “I faced difficulties from unwelcome weather. Heavy rain made it harder for me to take the pictures I wanted,” she said. Hard work and endurance did pay off here. All the best Nur Hidayati.